The CSE Quarterly – Issue 11 is Now Live! Just in time for the holidays, the latest issue of the CSE Quarterly is now available. This year has been another record-breaking one at the Canadian Securities Exchange. Thanks to growing interest from investors who are paying more attention to the innovative companies choosing to list on the CSE, trading volume and value have eclipsed last year’s numbers. 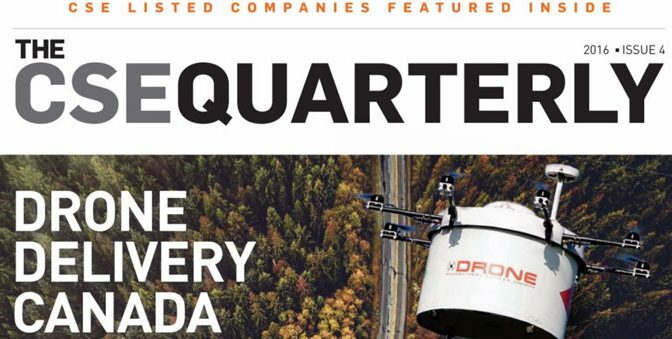 Whether it’s the disruption of delivery logistics with drones or redrawing the map on payment processing, the diversity of innovative stories contained in this issue of the CSE Quarterly highlight the fact that innovation is alive and thriving at the CSE. 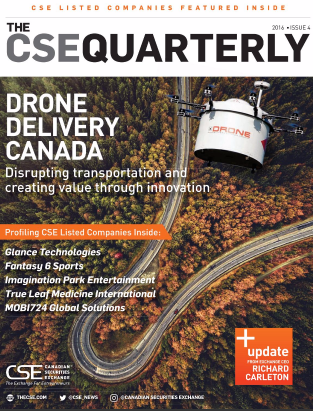 Click here to read the latest issue of the CSE Quarterly and for more details from CEO Richard Carleton on the many milestones reached by the CSE this year.